Here we have yet another example of a desperate attempt to buttress the absurd. '6M and gas chambers', this time via the threadbare 'Final Solution' canard. The claim that it meant extermination of Jews does not withstand rational scrutiny. This article is also an excellent example of the failure of judeo-supremacists to keep their lies straight. Professor Herf claims the exterminations were kept secret, as there was a complete suppression of any facts about the Final Solution. Yet, the Nazi leaders also announced to the world their policy to exterminate the Jews. The Jewish Enemy: Nazi Propaganda During World War II and the Holocaust, by Jeffrey Herf, Belknap Press, Cambridge, Mass., 2006, 416 pages. Dr. Jeffrey Herf, professor of history at the University of Maryland and a prominent student of German-Jewish issues, has written a very interesting book that examines anew the National Socialist "Final Solution of the Jewish Question" and attempts to answer one of the most important questions surrounding World War II: Why did Nazi Germany so vehemently oppose and persecute the Jews? There is no doubt that this book deserves a thorough response from the Holocaust revisionist camp. Here in part one of a projected series of articles we will examine Professor Herf’s theory about the "Final Solution," the alleged Nazi policy to exterminate the Jews of Europe. Future articles will examine other historical issues that are addressed in this well written but deeply flawed tome. Herf’s theory is to be classified with the former school, as The Jewish Enemy "is a work of modified intentionalism [p.vii]." According to this view, prior to the outbreak of the war, Adolf Hitler formulated a plan to exterminate the Jews, and the National Socialist leadership publicly announced they intended to carry this plan to completion. In Herf’s own words, when Germany’s "leaders spoke publicly after 1938 about what they intended to do to Europe’s Jews, they were remarkably blunt and unambiguous about their intention to exterminate or annihilate—that is, to murder—all the Jews of Europe [pp.10-11]." As I shall argue in the ensuing essay, Herf’s theory is false. The Nazi "Final Solution" was a plan to forcibly remove, sometimes even by ruthless and brutal means, all Jews from Europe. It was a plan of ethnic cleansing, but not one of total mass extermination. The Overall Weakness of "Intentionalism"
One of the major proponents of "intentionalism" was the late Holocaust historian Lucy Dawidowicz. In her The War Against the Jews: 1933-1945, she revealed how weak and flimsy the evidence that supports this hypothesis really is. After reading The Jewish Enemy, however, one could be left with the impression that "modified intentionalism" is an "etched in stone fact" with a ton of documentary evidence to support it. Nothing could be further from the truth. The reader should keep this in mind as we examine Herf’s contorted and twisted rationalizations. The Problem with Herf’s Theory of the "Final Solution"
In order to give the reader a good understanding of Herf’s theory, let us explain it in greater detail. "In his speech to the Reichstag on January 30 ," Herf insists that "Hitler made his first unequivocal public threat to exterminate (that is, murder)—not merely to remove, deport, or defeat—‘the Jewish race in Europe’ in the event that ‘international finance Jewry inside and outside Europe’ brought about a new world war. He publicly repeated the genocidal prophecy on at least six subsequent occasions between January 30, 1939, and February 24, 1943 [p.5]." The essence of Herf’s theory is that Germany’s leaders announced to the whole world they intended to exterminate the Jews, and even displayed this intention on public wall newspapers (p.110, 167, 267). By the summer and fall of 1941, the Nazi leadership publicly declared the extermination of the Jews was official government policy (p.12). Yet, simultaneously, they kept secret all the methods of this extermination policy, such as the "gas chambers" in the alleged extermination camps (pp. 9, 11,123, 127, 140, 268, 269). He writes: "The evidence also indicates the Nazis combined blunt speech about their general intentions with suppression of any facts or details regarding the Final Solution [p. 268]." Professor Herf claims the exterminations were kept secret, as there was a complete suppression of any facts about the Final Solution. Yet, the Nazi leaders also announced to the world their policy to exterminate the Jews. If Hitler, Goebbels and other officials made strenuous efforts to hide the methods of their extermination policy, like the "gas chambers," then it would be foolish for them to publicly announce to the world their plans to exterminate the Jews. Herf’s theory is based upon his translation of two key German words: vernichten and ausrotten. He insists the use of these two terms by Hitler and Goebbels in reference to their Jewish policy proves that they had a plan of mass murder. In his own words: "[T]he public language of the Nazi regime combined complete suppression of any facts about the Final Solution with a brutal, sometimes crude declaration of murderous intent. Two key verbs and nouns in the German language were at the core of this language of mass murder: vernichten and ausrotten. These translate as "annihilate," "exterminate," "totally destroy," and "kill," and the nouns Vernichtung and Ausrottung as "annihilation," "extermination," "total destruction," and "killing." Whether taken on their own from the dictionary meaning or placed in the context of the speeches, paragraphs, and sentences in which they were uttered, their meaning was clear [p.11]." These beliefs were undermined at one of the most famous Holocaust court cases of our time, the Irving-Lipstadt libel trial in London in 2000. British historian David Irving sued Penguin Books and Holocaust historian Deborah Lipstadt, who denounced Irving in print as "one of the most dangerous Holocaust deniers." At the trial, there was a debate about the meaning of the terms, "vernichten" and "ausrotten." In point of fact, the meanings of these words were shown to be equivocal. In regard to the allegedly incriminating words and statements in Nazi documents that are employed to "prove" the Nazis had a policy to exterminate the Jews, the Judge in the case, Charles Gray, after hearing testimony from Irving and his opponents, pointed out that these words are capable of being interpreted in a non-genocidal sense. That is, in a manner that is consistent with Holocaust revisionist theory. It is important to note that this fact—the words "ausrotten" and "vernichten" are equivocal and can be interpreted in a non-genocidal sense—undermines Herf’s theory. The latter is based upon the genocidal interpretation of certain statements made by Hitler and Goebbels between January 1939 and February 1943. Yet, these same statements that Herf insists literally mean that the Hitler and Goebbels intended to exterminate the Jews could also be interpreted as meaning that they intended to root out and deport the Jews by brutal and ruthless means, and wipe out their influence in Europe. This specifically applies to what Herf labels as Hitler’s first unequivocal public threat to exterminate the Jews, his speech to the Reichstag on January 30, 1939 (p.5). Hitler’s German words have been translated into English as: " If international-finance Jewry inside and outside of Europe should succeed once more in plunging nations into another world war, the consequence will not be the Bolshevization of the earth and thereby the victory of Jewry, but the annihilation of the Jewish race in Europe. "12 In light of all the evidence, it is very possible that Hitler’s statement could be interpreted as meaning that if international finance Jewry succeeds in pushing the world into another war, the Jews would be uprooted, driven from Europe and their influence wiped out. Here, Himmler is in effect saying that Hitler’s statement is to be interpreted to mean that the Jews are to be evacuated to the east. What is a defender of Herf’s hypothesis going to say in response? That Hitler originally stated point blank that he planned to exterminate the Jews, but then Himmler, years later, attempted to "cover up" Hitler’s murderous plan with a false interpretation of his original words? As Hoggan points out, Hitler meant that if the Jews succeed in starting another world war, their position and influence would be wiped out in other European countries as it already had been in Germany. Herf quotes a speech by Hitler himself that supports this interpretation. In his speech to the Reichstag on January 30, 1942, Hitler stated: "We are clear that the war can come to an end only either with the extermination of the Aryan peoples or with disappearance of the Jews from Europe [p.144]." All of the above may very well apply to passages that employ the terms "ausrotten" and/or "vernichten," and Herf then interprets them to mean the Germans were intending to exterminate the Jews. These passages could very well be interpreted to mean the Germans intended to uproot and deport the Jews by ruthless and brutal means, during which many Jews would perish as a result of this policy. In summary then, Herf is claiming that when Hitler and Goebbels "used the words Vernichtung (extermination) and Ausrottung (annihilation), the inhabitants of Nazi Germany understood that those words referred to a policy of mass murder [p.267]." Was the Alleged Plan to Murder All Jews an Official Nazi Policy? A key component of Herf’s theory is that this publicly expressed intention to murder all Jews became a government policy, for he writes: "By summer and fall of 1941, Hitler and Goebbels were saying publicly that the threatened extermination of the Jews was now part of ongoing official policy [p.12]." Yet, Holocaust historian Leon Poliakov, who believes that the Germans murdered millions of Jews, points this out about Final Solution: "[T]he campaign to exterminate the Jews, as regards its conception as well as many other essential aspects, remains shrouded in darkness. Inferences, psychological considerations, and third- or fourth-hand reports enable us to reconstruct its development with considerable accuracy." Herf claims that National Socialist leaders publicly announced their master plan to exterminate the Jews. Yet, as Poliakov concedes, there are no documents to prove that such a plan ever existed. Whereas Herf claims the Nazis publicly announced their official policy to exterminate the Jews, Poliakov provides contradictory evidence. He points out that because there are no documents to prove the existence of this murderous plan, the Nazis must have somehow successfully hid it with the utmost secrecy. Consider the dilemma that Herf faces. He emphatically insists that his book demonstrates "in greater detail than previously, the extent to which Hitler and his associates told the German population on numerous occasions that his government was following a policy of exterminating and annihilating Europe’s Jews [p.15]." Herf agrees with Hilberg, for he believes the Nazis used "language rules specifically designed to conceal literal meaning [p.296, footnote 33]." In their internal office memos, the Nazis used euphemisms and sheer cloudy vagueness to cover up and hide this policy of mass murder (p.11). If the success of the Nazi killing operations, the "gas chambers," depended upon the maintenance of secrecy, and the killers had to conceal their work from every outsider, mislead and fool the victims, and erase all traces of the operation, why would Nazi leaders turn around and publicly tell the German populace that they were exterminating the Jews? Why would the Nazis publicly announce their plans to exterminate the Jews of Europe, and simultaneously, in their secret correspondence try to hide and camouflage something they publicly announced? In regard to this serious dilemma, Herf provides no answers. In order that the reader fully grasps the serious problem inherent in Herf’s theory, let us juxtapose two quotes from The Jewish Enemy. On page 12, he states: "By summer and fall of 1941, Hitler and Goebbels were saying publicly that the threatened extermination of the Jews was now part of ongoing official policy." Yet, on page 277, Herf approvingly quotes the words of British historian Ian Kershaw: "The very secrecy of the ‘Final Solution’ demonstrates more clearly than anything else the fact that the Nazi leadership felt it could not rely on popular backing for its extermination policy." Does the reader see the serious problem here? The Nazi leadership publicly announced the extermination policy that they made a strenuous effort to hide and conceal! Contradictions such as this are exactly what one should expect from a false theory. A defender of Herf’s hypothesis may say that the Nazi leaders were neurotic and paranoid. Therefore, it is to be expected that they exhibited irrational behavior, like simultaneously announcing their plans to exterminate the Jews and all the while trying to hide the methods (eg., "gas chambers") of this murderous policy. Even if they were neurotic and paranoid, they certainly were not stupid as Herf seems to suggest (p.88). Hitler and Goebbels would have readily seen the foolishness of announcing to the world a policy to exterminate the Jews, yet simultaneously tying to hide the actual facts (the "gas chambers") of this policy. This comment may very well shed light upon the motivations of Jeffrey Herf. There are no unequivocal documents or statements to support his case. So, perhaps, he is distorting the evidence in order to make it conform to his theory. He may be "reading into" the documents and statements an interpretation that fits his belief that the "Final Solution" meant the total extermination of the Jews. The reader should keep this in mind as we examine the rest of Herf’s views. This is pure speculation unsupported by any documentary evidence. This is an ad hoc rationalization, created to "explain away" the embarrassing fact that there are no documents to prove the orthodox view of the Final Solution. No one has ever found any authentic and genuine war time Nazi document, ordering that all records that discuss the alleged policy to exterminate the Jews by various means are to be burned. In volume 13 of the Nuremberg Military Tribunal (NMT) publications, there is a discussion of National Socialist Jewish policy. One part, NG-2586-J, a memo written by German Foreign Office official Martin Luther, dated August 21, 1942, is a summary of this policy. This is an important war time German document that both the orthodox and revisionist historians of the Holocaust accept as authentic and genuine. Let us list each of Herf’s claims and then compare them to what the Luther memo says. Herf writes: "In his speech to the Reichstag on January 30 , Hitler made his first unequivocal public threat to exterminate (that is, murder)—not merely to remove, deport, or defeat—‘the Jewish race in Europe’ in the event that ‘international finance Jewry inside and outside Europe’ brought about a new world war. He publicly repeated the genocidal prophecy on at least six subsequent occasions between January 30, 1939, and February 24, 1943 [p.5]." But the Luther memo states: "The fact that the Fuehrer [Hitler] intends to evacuate all Jews from Europe was communicated to me as early as August 1940 by Ambassador Abetz after an interview with the Fuehrer [Hitler]. "24 So, Herf claims that in January 1939 Hitler made a public threat to literally exterminate the Jews. Yet, the Luther memo states that Hitler’s policy in August 1940 was to evacuate all Jews from Europe. Herf’s claim—"By summer and fall of 1941, Hitler and Goebbels were saying publicly that the threatened extermination of the Jews was now part of ongoing official policy [p.12]." -- is contradicted by documentary evidence. So once again, Herf claims that the extermination of the Jews was "official government policy" by the summer and fall of 1941. Yet, the Luther memo states that the policy of deporting the Jews was still in force in August of 1942. Under point number 8, the Luther document contains this most telling statement: "On the occasion of a reception by the Reich Foreign Minister on 26 November 1941 the Bulgarian Foreign Minister Popoff touched on the problem of according like treatment to the Jews of European nationalities and pointed out the difficulties that the Bulgarians had in the application of their Jewish laws to Jews of foreign nationality." This clearly contradicts Herf’s contention that by mid 1941 the "threatened extermination of the Jews was now part of ongoing official policy." The Luther memo, a clear, August 1942 statement of National Socialist policy, declares this was the policy: At the end of the war the Jews would still be around, but they would have to leave Europe. At the risk of sounding redundant, let me again repeat a key component of Herf’s thesis: "By the summer and fall of 1941, Hitler and Goebbels were saying publicly that the threatened extermination of the Jews was now part of ongoing official policy [p.12]." So, according to Herf the leaders of the Third Reich publicly announced in 1941 that the extermination of the Jews was now official policy. But then again, Reitlinger points out that German officials used code-words after the summer of 1941 to avoid admitting to each other that such a mass murder policy even existed. Therefore, the Germans used the code-word—"The Final Solution"—to avoid admitting to each other that the publicly admitted and announced mass extermination policy even existed!! If, as Herf claims, by mid 1941 Hitler and Goebbels were saying publicly that the extermination of the Jews was now government policy, then why did the director of the Jewish department in the Foreign Ministry send out the ruling in February 1942, that Hitler has now ordered the Jews would deported to the East? Mainstream Holocaust historians maintain that Rademacher’s ruling was employing "camouflage language." That is, "evacuation to the East" really meant extermination. The reader should see the serious problem here. By the summer and fall of 1941, Hitler and Goebbels were publicly announcing to the world that the extermination of the Jews was now official policy. Yet, in a February 1942, private memorandum, the director of the Jewish Department in the Foreign Ministry used camouflage language in an attempt to hide this murderous policy! Who were the Germans trying to hide this murderous policy from? After all, Hitler and Goebbels already announced it to the world! Reitlinger points out that on July 24, 1942, Hitler privately stated that "if the Jews did not emigrate after the war to Madagascar or some other Jewish national State he would round them up, town by town [emphasis added]. "29 Once again, consider the absurdity here. Herf claims that by the summer and fall of 1941, Hitler announced that it was now government policy to exterminate the Jews. Yet, in private, he used "camouflage language" in order to hide this alleged extermination policy. Who was he trying to hide this extermination policy from? He had already announced it to the world! In October of 1943, the Chief of the German Secret Police, Heinrich Himmler, delivered a speech in Posen, Poland. This speech is often used by orthodox Holocaust historians to "prove" that the Nazis had a policy to exterminate the Jews. This speech may have been tampered with by Allied censors, and Himmler may have not even made the statements attributed to him.31 But let us give Herf and his camp the benefit of the doubt and assume that Himmler really did make the comments attributed to him. Here is the key passage in question: "I [Himmler] am now referring to the evacuation of the Jews, to the extermination of the Jewish people. This is something that is easily said: ‘The Jewish people will be exterminated,’ says every Party member, ‘this is very obvious, it is in our program—elimination of the Jews, extermination will do.’"
Herf unwittingly provided support for Holocaust revisionism, for he wrote that in this speech, "Himmler referred only to the early methods of the Einsatzgruppen murders and said nothing about the death camps, gas chambers, and crematoria [p.233]." 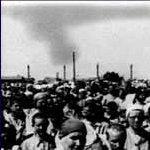 Herf admits that Himmler was referring only to the mass shootings of Jews by the Einsatzgruppen on the Eastern Front, something that was never denied by Holocaust revisionists. The secret police chief was not referring to the alleged Hitler gas chambers and accompanying crematoria, and the so-called extermination camps. Therefore, this passage cannot be used by orthodox Holocaust historians to "prove" that the Nazis had a policy to exterminate Jews in "gas chambers." One of the key figures in the National Socialist hierarchy and the Final Solution was Joseph Paul Goebbels, head of the Ministry for Public Enlightenment and Propaganda. His statements not only corroborate Holocaust revisionist theory, but they also undermine the rival theory of Jeffrey Herf. In the November 16, 1941 issue of the National Socialist periodical, Das Reich, Goebbels published an article that Herf claims marks the first time that a German leader publicly announced the alleged extermination of the Jews shifted from "hypothetical notion" to "ongoing action" (pp. 121-122). Here is how Goebbels’s words have been translated: "In unleashing this war, world Jewry completely misjudged the forces at its disposal. Now it is suffering a gradual process of extermination that it had intended for us and that it would have unleashed against us without hesitation if it had the power to do so…[p. 122]." At first, Herf insists that Goebbels was stating point blank that the Germans initiated a plan of mass extermination, the consequence being that the Jews were undergoing a process of gradual extermination, as his language was "blunt and noneuphemistic" (p.123). Yet, further on, he contradicts himself, for he admits that Goebbels remarks were ambiguous: "The case was compelling for imposing the most radical interpretation of Goebbels’s remarks, but his formulations left enough ambiguity and absence of detail to promote plausible deniability among an indifferent or incredulous mass audience [p.123]." So there you have it. Goebbels’s remarks are equivocal, and they are capable of an interpretation other than the genocidal one that Herf originally attached to it. As we shall see, it is more likely that Goebbels meant that the Jews would be uprooted and deported by brutal and ruthless means, and as a consequence, many would perish. This was a brutal and cruel policy of ethnic cleansing, but it is not the same as a mass murder policy to literally annihilate all the Jews within the German grasp. Herf makes an important admission about the diaries of Joseph Goebbels. The National Socialist official wrote about 3 million words a year, including speeches and editorials, and thousands of words per night in his diary. "Yet he never committed to paper any precise details about the Final Solution," Herf concedes, although he adds that Goebbels "left no doubt that he wanted the Jews of Europe dead [p.146]." Here, Herf is admitting there is no mention of any written order to murder the Jews in "homicidal gas chambers" in the writings of Joseph Goebbels. In the March 7, 1942 entry in Goebbels’s diary, the National Socialist official discusses an extensive memo concerning the Final solution to the Jewish question. The document referred to "more than eleven million Jews" in Europe who "must first be concentrated in the East" and in due course, "after the war, be sent to an island" such as Madagascar. Europe would not see peace until the Jews were "excluded from European territory." "Delicate questions" concerning half-Jews, relatives, and spouses, it noted, would be addressed. Goebbels then wrote: "[T]he situation is now ready to introduce a definitive solution to the Jewish question. Later generations will no longer have the energy and also the alertness of instinct to do so. Therefore, it is important that we proceed radically and thoroughly [p.146]." Herf admits this passage contradicts his theory. It speaks not of mass extermination, but of deporting the Jews to some place outside of Europe after the war is ended. Herf tries to explain this away by claiming that Goebbels is lying to his own diary for posterity’s sake. His reasons for believing this are twofold (p.147). First, Goebbels allegedly stated in the fall of 1941 that the Jews were undergoing a "gradual process of extermination [p.147]." As we pointed out in the previous Section, however, it is very possible that Goebbels meant that the Jews were undergoing a gradual and brutal process of uprooting, during which a large number of Jews would perish as a consequence of Nazi policies. Second, at the Wannsee Conference of January 20, 1942, Herf believes the deportation policy was abandoned and it was decided that the Jews would be exterminated; Goebbels was allegedly aware of this. This is a common tactic of the believers in the orthodox view of the Final Solution. When a document does not fit their thesis, they dismiss it as camouflage or euphemism, thus making their viewpoint non-falsifiable and self-perpetuating. But just as importantly, we again see the absurdity in Herf’s "modified intentionalism." On the one hand he claims that Hitler and Goebbels on numerous occasions announced to the world their policy to murder the Jews of Europe. In addition, the Nazis even announced their intention of exterminating the Jews on wall propaganda posters. Yet, he then turns around and tries to make us believe that Goebbels tried to hide this extermination policy by lying to his diary for posterity’s sake. Why would Goebbels announce to the world the Nazi policy of exterminating the Jews in a widely publicized magazine, and then try to hide this same policy by lying to his private diary? It would not make any sense for Goebbels to lie about, cover up and conceal in his private diary the very thing that he honestly publicly announced! On March 20, 1942, Goebbels had a conversation with Hitler. Here is how the Propaganda Minister described the conversation: "The Fuhrer remains merciless. The Jews must be driven from Europe, if necessary by using the most brutal means [p.148]." Here we have a straightforward and frank description the Final Solution. It was not a policy of extermination, but rather one of ethnic cleansing in which the Jews would be driven out of Europe, sometimes even by barbaric means. Herf tries to explain this away by saying: "With all the death camps in operation, it was an obvious lie to write that Jews were being ‘driven from Europe’—that is, to another place. Rather, they were prevented from escaping from Europe and were being murdered there [p.148]." Herf then makes this most important and stunning statement: "In his diary entry of March 27, 1942, Goebbels went as far as he ever would in revealing on paper what he knew and felt about the details of the gas chambers and crematoria [p.149]." I will quote the most important and pertinent parts of the passage, and it is assumed that Herf’s translation is accurate: "Beginning in Lublin, the Jews are being shipped to the East out of the General Government [in Poland]. A rather barbaric procedure, which I won’t describe in more detail, is used. In all, 60 percent of the Jews must be liquidated, while only 40 percent can be put to work. The former gauletier of Vienna, who is conducting this action, is doing it with circumspection and with a method that is inconspicuous. A punishment is being meted out to the Jews that is indeed barbaric but that they however completely deserve…The ghettos in the cities of the General Government that have been cleared [of Jews] will now be filled with Jews who have been expelled from the Reich, and there, after a while, the process will be repeated…[pp.149-150]." Despite what Herf writes, the passage is still consistent with the Holocaust revisionist hypothesis. There is no specific mention of the alleged mass murder of Jews in homicidal gas chambers. The diary entry simply states that Germany’s forced deportation and ethnic cleansing policy would result in the death of many Jews. Starvation, disease, shock, crowded conditions, lack of medicine, brutal weather conditions, and ad hoc atrocities would be the causes of death. To be sure, this was a very barbaric and evil policy of ethnic cleansing, but it is not the same as a specific policy to murder all Jews en masse in homicidal gas chambers. Why Did the Nazis Allegedly Hide "Facts" or "Details" of the Final Solution? Toward the very end of his study, Herf attempts to explain why the Nazis would publicly announce their general plan to exterminate the Jews, yet make a concerted effort to hide and conceal the means (eg. the "gas chambers") by which they were going to carry this plan out: "Preserving secrecy in the midst of war reduced the likelihood of attacks on the death camps by Allied air forces. Given that the Nazi leaders believed that Jewish wire pullers in London, Moscow, and Washington were controlling policy, accurate accounts in the press of the murders by Einsatzgruppen and Ordnungspolizei, gas chambers, and crematoria would have increased foreign pressure to put an end to the genocide [p.268]." Yet, in previous pages he provides the reader evidence that greatly undermines his whole hypothesis. On December 17, 1942, the American, Belgium, Czechoslovak, Greek, Luxemburg, Dutch, Norwegian, Polish, Soviet, British, and Yugoslav governments, in addition to the French National Committee in London, issued a joint declaration, which Herf labels a "remarkable statement." Herf claims the declaration "contained a considerable amount of accurate information regarding deportations, Poland as the site of mass murder, and exposure, starvation, and mass executions, as well as an estimate that ‘many hundreds of thousands’ of innocent people had already been murdered. It did not include details about mass murder in the gas chambers, yet the key point, regarding the ongoing Nazi policy of mass murder, was correct…[R]eports of atrocities against the Jews stiffened Allied determination to defeat the Nazi regime [p.175]." Herf claims that December 1942 "marked a significant turning point in the propaganda war in World War II [p.176]." He points out that "mass murder became a public theme of Allied propaganda, however periodic or irregular a theme it may have been…[p.176]." Further on he speaks of the "numerous press reports about the mass murder of the Jews [in the Allied press] by the fall of 1943…[p.235]." Finally, he states that "the more the news about German atrocities against the Jews and others emerged in the world press, the more determined the Allies were to fight to unconditional surrender [p.238]." So there you have it. On the one hand, he says that accurate accounts in the German press of the ongoing mass murder would have increased foreign pressure to put an end to the genocide, and this is allegedly why the Nazis did not announce the existence of the "gas chambers" in the German press. Since the Allies were already publishing allegedly accurate information about the ongoing Jewish tragedy, this would have increased foreign pressure to put an end to the "gas chambers." This should have induced the Allied air forces to attack the "death camps," and the Germans had no good reason to hide the facts of the Final Solution, like the "gas chambers." Just as, according to Herf, they made no attempt to hide their policy of exterminating the Jews, they had no reason to hide the "gas chambers." According to Herf’s genre of reasoning, just as the Nazis publicly announced their plan to exterminate the Jews, they also should have announced the methods by which they were carrying their policy to fruition. If they did not hide their policy to exterminate the Jews, they did not have any good reason to hide the "gas chambers" either! They should have publicly announced the "gas chambers," just as they publicly announced their overall policy to exterminate the Jews. Once again, bizarre oddities like this are exactly what one should expect from a false theory. Why Did the Germans Fail to Address the "Homicidal Gas Chambers?" If the Allied governments and newspapers were publishing atrocity allegations and information on "mass extermination camps," why didn’t the German government publicly address the issue? Professor Herf unwittingly provided an answer to this question. On November 2, 1943, the Reich Press Office issued a directive as to how the press should respond to the Allies’ Moscow communiqué of November 1943, which addressed alleged German atrocities. The directive stated that there was "nothing new about the atrocity propaganda," and most probably nothing true about it (p.235). National Socialist officials were aware of the totally discredited atrocity propaganda from the First World War, such as the bizarre lies the Germans used human corpses for the manufacture of soap and human clappers in Belgium bell towers.41 In view of this the German government may have decided to simply ignore the recycled war propaganda from the First World War. Little did they know that the atrocity propaganda of the Allies and Zionists would one day become the basis of a new religion in the Western World. The orthodox view of the Final Solution—that it was a policy to exterminate the Jews—is false. It is based upon faulty logic and is not supported by the documentary evidence. Holocaust revisionists contend the Nazi government never planned to exterminate Jewry, the "Final Solution" being no more or no less than their expulsion from Europe. During the course of WWII Jews were forcibly uprooted from German-controlled areas and sent to ghettos and camps in Poland, then later further East. This school asserts "homicidal gas chambers" never existed and were the creations of American, British, Soviet and Zionist war propaganda. Holocaust revisionists do not deny that Germany and its allies committed atrocities against Jews, nor do they deny that the Jews suffered a tragedy during WWII. A large number were shot by the German army during their anti-guerilla warfare campaign on the Eastern front. Others were slain during atrocities committed in Nazi-controlled areas. Many Jews died as a result of brutal forced labor and deportation policies, malnutrition, shock, cramped conditions, exposure and disease brought on by war-time conditions. As we have seen, all of the so-called "evidence" put forth by Professor Herf in The Jewish Enemy is consistent with Holocaust revisionism. As its spiritual father, Harry Elmer Barnes, defined it, Historical Revisionism is the process of bringing history into accord with the facts, creating the most accurate and truthful picture of the past as is humanly possible. Its purpose is not to create alibis for any past political regimes. Ergo, Holocaust revisionism is not an apology for National Socialism. The Nazi Final Solution was an immoral, brutal and cruel plan of ethnic cleansing, during which a large number of Jews undoubtedly suffered and perished; it was not a plan to exterminate all the Jews within the German grasp. How many perished because of this policy is beyond the scope of this essay, but the claim of six million Jewish dead is certainly a gross exaggeration. Just as Revisionism is not an apology for German National Socialism, it is also not an apology for the British Churchill government, the American Roosevelt administration, the murderous Stalinist/Communist regime, or international Zionism and the state of Israel. Do you want to condemn the Germans for their deportation policy in regard to the Jews, which undoubtedly resulted in death for a large number of non-combatants? Then in the same breath condemn Great Britain’s aerial bombardment of Germany. Herf admits the British bombing campaign resulted in an estimated 500,000 German civilian deaths, disproportionately among women and children (p.156). Just as German policies brought about the deaths of innocent Jews, so too did British policies bring about the deaths of many innocent Germans. Yet, despite all of this, Professor Herf still wrote: "Reports of the Final Solution underscored the stark moral dichotomy between Nazi Germany and its allies, on the one hand, and the United Nations on the other. They reinforced the Allies’ conviction that this was a war between freedom and tyranny, good and evil, civilization and barbarism (p.176)." Herf’s claim that reports of the Final Solution underscored the stark moral dichotomy between Nazi Germany on the one hand, and the Americans, British and Soviets on the other is falsified by the totality of evidence, some of which is mentioned in his own books. Herf points out that the Soviets ran concentration camps in which death was brought about by exposure to the elements or slow starvation (p.126). He also casually admitted the British bombing campaign against Germany caused 500,000 civilian deaths, disproportionately among women and children (pp. 155-156). And he shows no great emotion when he notes that the Soviet Communists cruelly massacred 1700 Polish officers at Kaytn, and another 4000 were missing (p.201). In view of the horrible atrocities that Herf himself admits the Allied powers committed, how can he possibly maintain that there was a "stark moral dichotomy" between Germany and its enemies? Thank you Dr. Lipstadt for providing the world with such serious food for thought. Last edited by Hannover on Mon Dec 10, 2007 2:52 pm, edited 3 times in total. Is this why Jeffrey Herf promotes a distorted view of the Final Solution? 2. Noah Strote, "Blood or Politics? : Parsing Nazi Intentions," Forward, 21 July 2006, pp. 16-17. 3. Quoted on book jacket. 4. Lucy S. Dawidowicz, The War Against the Jews 1933-1945 (Bantam Books, 1981), pp. xxi, passim; Raul Hilberg, The Destruction of the European Jews: Student Edition (Holmes & Meir, 1985), pp. 99, 157, passim; Gerald Reitlinger, The Final Solution: The Attempt to Exterminate the Jews of Europe 1939-1945 (Jason Aronson Inc., 1987), pp. 3, passim. 5. Deborah Lipstadt, History on Trial: My Day in Court With David Irving (Harper-Collins, 2005), p. 23. 11. Michael Shermer & Alex Grobman, Denying History: Who Says The Holocaust Never Happened And Why Do They Say It? (University of California Press, 2000), p. 280, footnote 21. 14. David L. Hoggan, The Forced War: When Peaceful Revision Failed (Institute for Historical Review, 1989), p. 279. 17. Leon Poliakov, The Harvest of Hate: The Nazi Program for the Destruction of the Jews of Europe (Holocaust Library, 1979), p. 108. 18. Hilberg, pp. 238, 240. 23. Arthur Max, "Key meeting weighs opening Nazi archive," Yahoo! News, 13 May 2007. 29. Ibid, p. 78, footnote. 35. Richard Evans, Lying About Hitler: History, Holocaust, and the David and the David Irving Trial (Basic Books, 2001), pp. 127-128. 40. The New York Times, 8 August 1943, p. 11; The New York Times, 12 February 1944, p. 6. 41. See the discussion in Robert Jan van Pelt, The Case for Auschwitz: Evidence from the Irving Trial (Indiana University Press, 2002), pp. 129-132. 42. Stephane Courtois, et al, The Black Book of Communism: Crimes Terror, Repression (Harvard University Press, 1999). 43. Yuri Slezkine, The Jewish Century (Princeton University Press, 2004); Kevin MacDonald, "Stalin’s Willing Executioners: Jews As a Hostile Elite in the USSR," The Occidental Quarterly, Vol. 5 No. 3, Fall 2005; Online: http://theoccidentalquarterly.com/archi ... kine.pdf. ; Joachim Hoffman, Stalin’s War of Extermination 1941-1945: Planning, Realization and Documentation (Theses & Dissertations Press, 2001). 45. Deborah Lipstadt, Denying the Holocaust: The Growing Assault on Truth and Memory (The Free Press, 1993), p.213. 46. "Pilot Who Dropped First A-Bomb Dies," AOL News, 1 November 2007. 47. Giles Macdonogh, After the Reich: The Brutal History of the Allied Occupation (Basic Books, 2007). 48. Jeffrey Herf, Divided Memory: The Nazi Past in the Two Germanys (Harvard University Press, 1997), p. 73. 50. Harry Elmer Barnes, "Blasting the Historical Blackout," May 1963, p. 35, in Harry Elmer Barnes, The Barnes Trilogy: Three Revisionist Booklets (Institute for Historical Review, 1979). 51. Lipstadt, Denying the Holocaust, p. 41. 53. George W. Ball and Douglas B. Ball, The Passionate Attachment: America’s Involvement with Israel, 1947 to the Present (W.W. Norton & Co., 1992), p.29. 54. Ilan Pappe, The Ethnic Cleansing of Palestine (Oneworld Publications, 2007). 55. Lipstadt, Denying the Holocaust, pp. 7-8. 56. David Klinghoffer, "Our Role in Promoting Holocaust Denial," Forward, 30 December 2005, p. 9. 57. Norman Finkelstein, The Holocaust Industry: Reflections on the Exploitation of Jewish Suffering (Verso, 2000), p. 3.